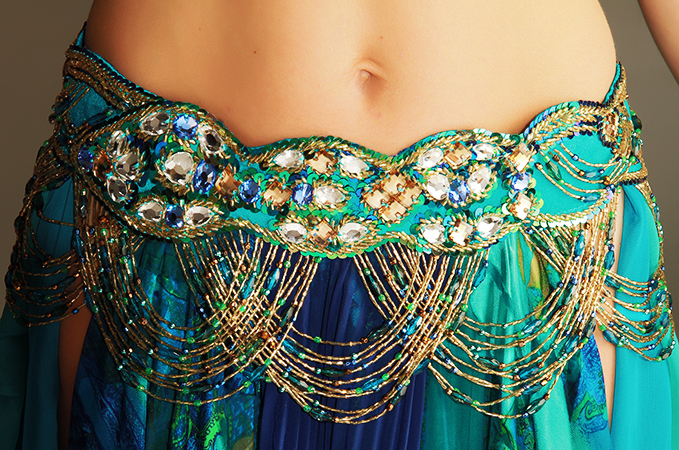 Includes: bra, belt, skirt, arm bands, wrist cuffs, necklace, headband, half-circle chiffon veil. 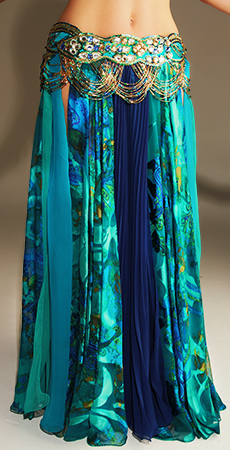 Fabric: teal print burnout silk-chiffon, royal blu and turquoise chiffon, teal lycra. Beading: light golg, teal, blue, multi color crystal stones. Belt: one piece belt, 37" from end to end. 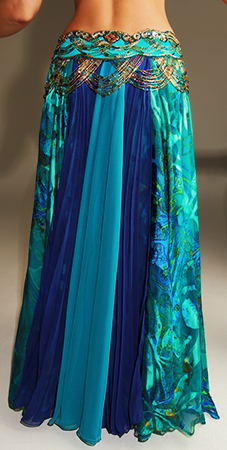 Skirt: double layer circle chiffon skirt with two slits and decorative panels. Length 39".